For the first time in my Midwestern memory the lilacs are blooming in March. 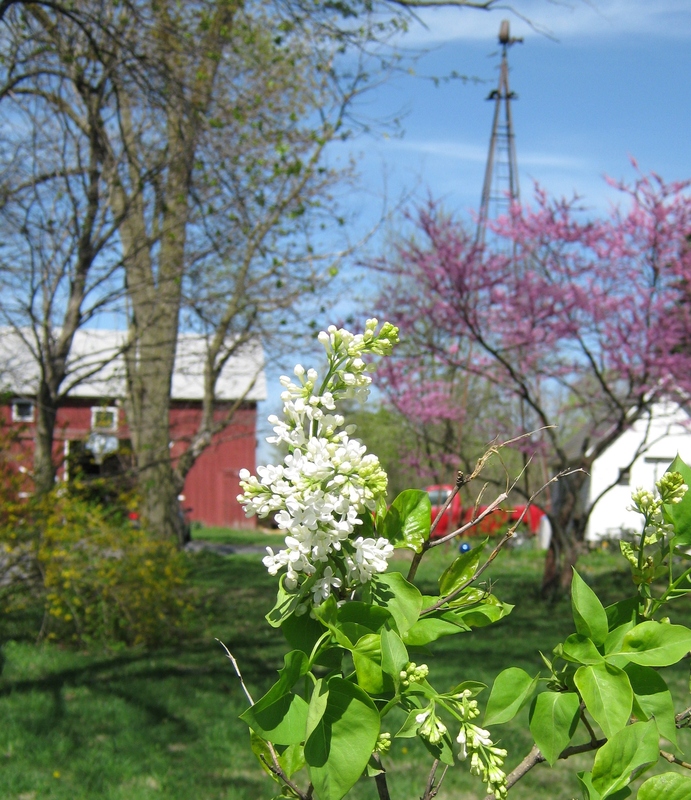 The white lilacs in the front yard of my Indiana farmhouse must be confused indeed. Years ago I dug up these shoots from the enormous hedge that rings the back yard at the McEachron homestead in Yorkville, Wisconsin. Like the settlers who brought lilac bushes to Wisconsin from their homes in Eastern states, Emy and I have both transplanted lilac bushes from Wisconsin to our respective homes in Illinois and Indiana. Most years my blooms in Northwest Indiana are about two weeks ahead of those in southeastern Wisconsin. In fact, when Emy and I planned the Plank Road Summer launch party for May 2009, we ended up gracing our table with lilacs from Elmhurst and Valparaiso because the Yorkville lilacs were not yet in bloom. It seems propitious that the lilacs are blooming again as Emy and I sign our contract for Plank Road Winter. We hope that readers of our first book will appreciate the fact that even in this wintry tale, the lilacs of Yorkville make an unexpected appearance.